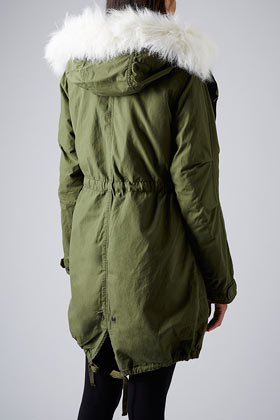 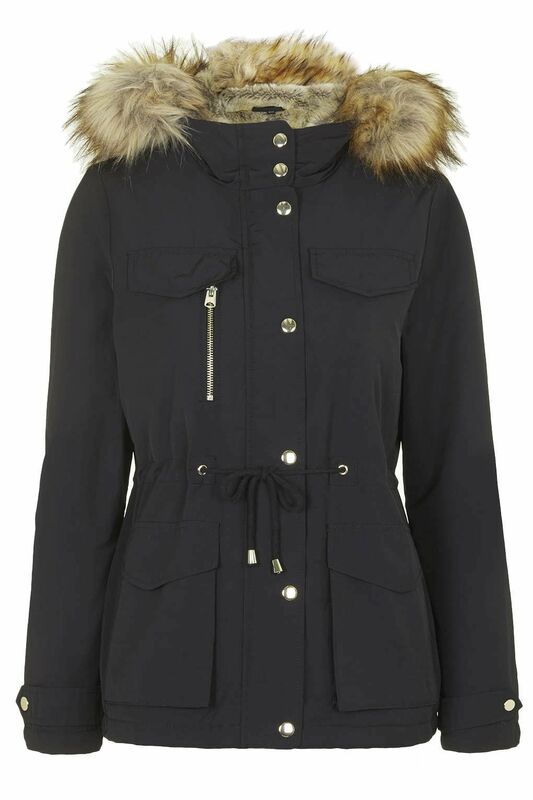 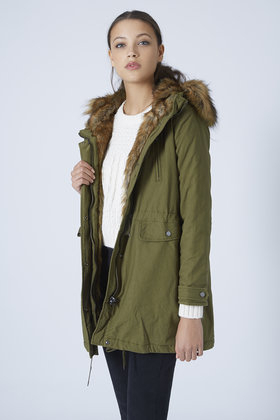 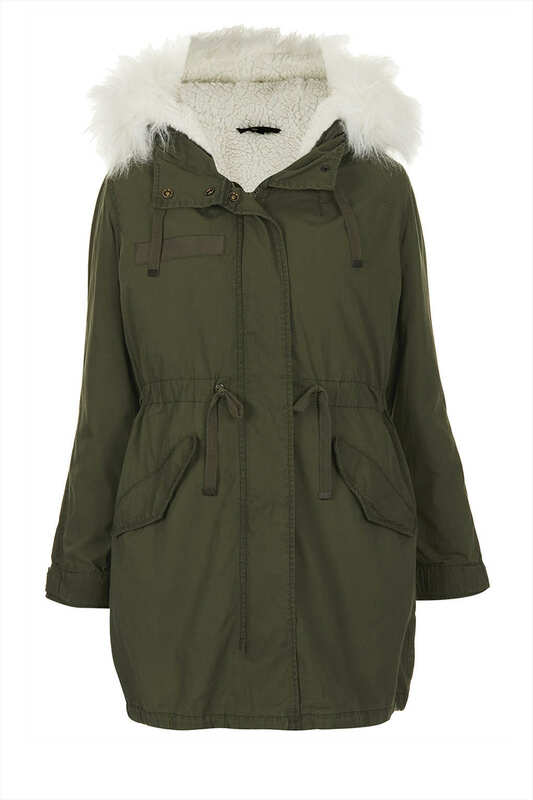 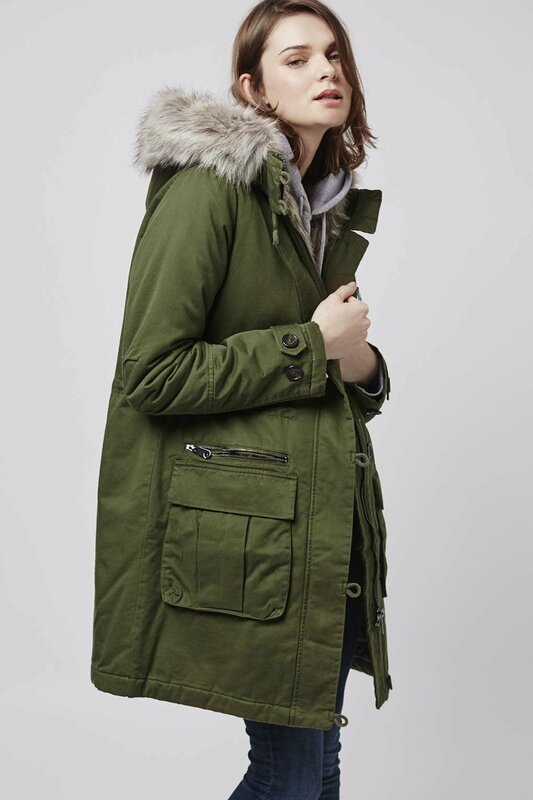 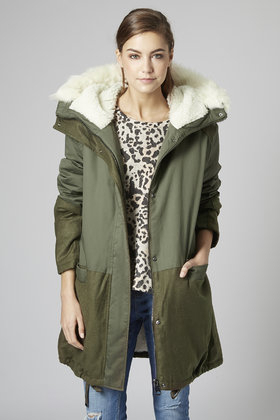 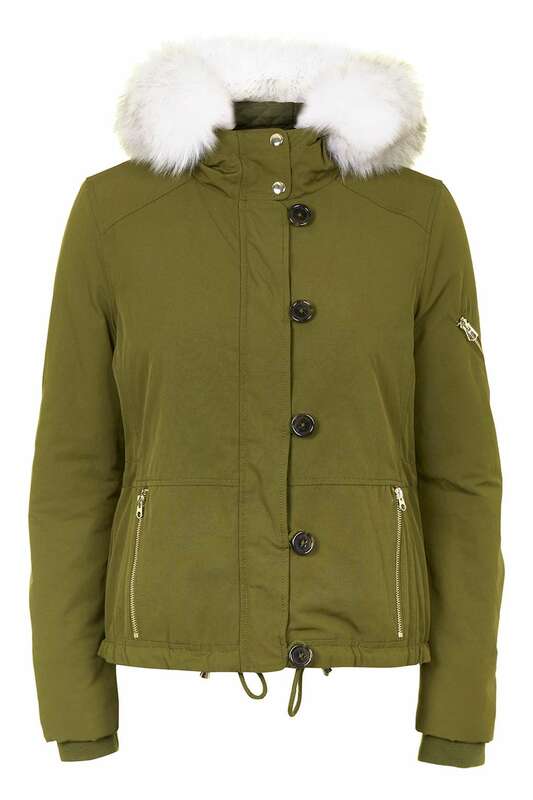 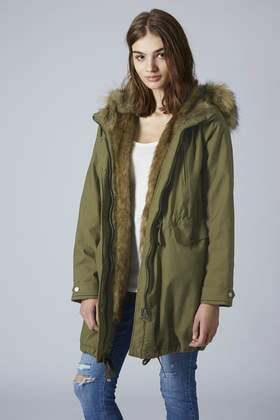 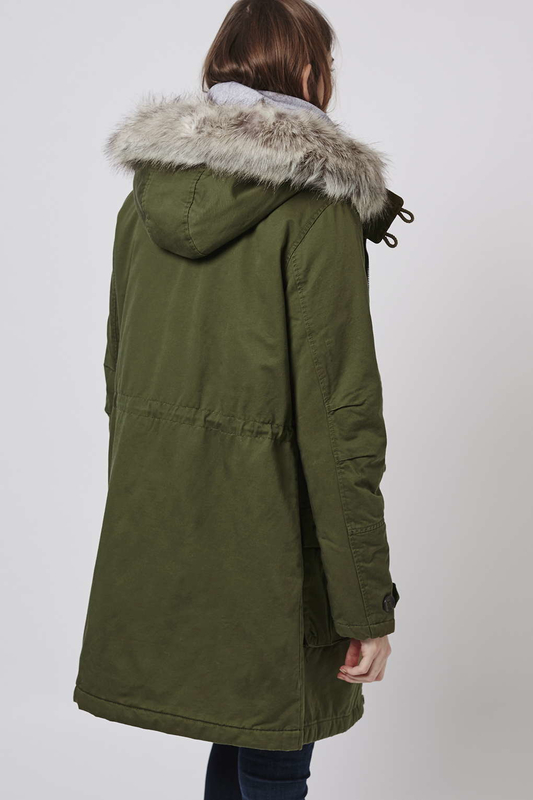 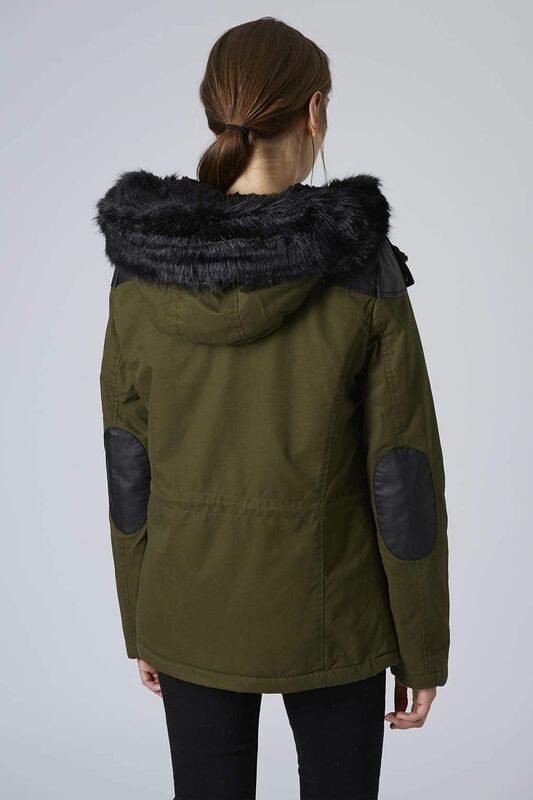 She is wearing the Topshop Faux Fur Lined Short Parka Jacket. 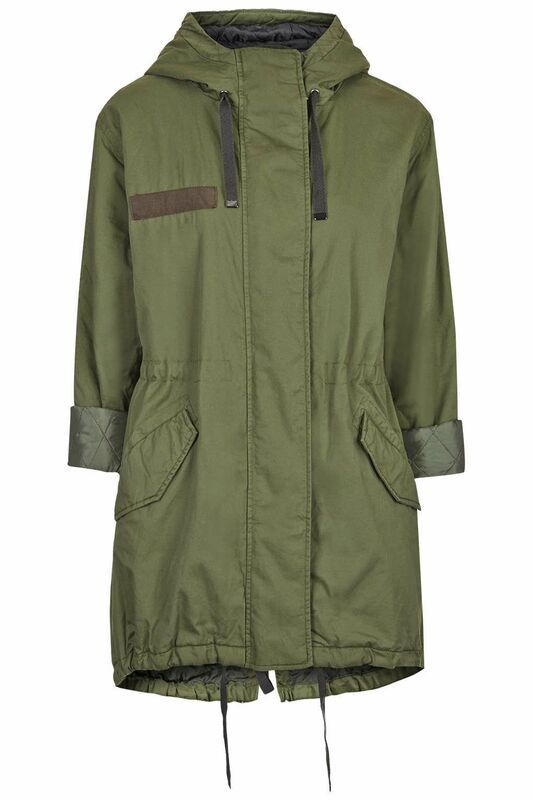 Buy it HERE for $156. 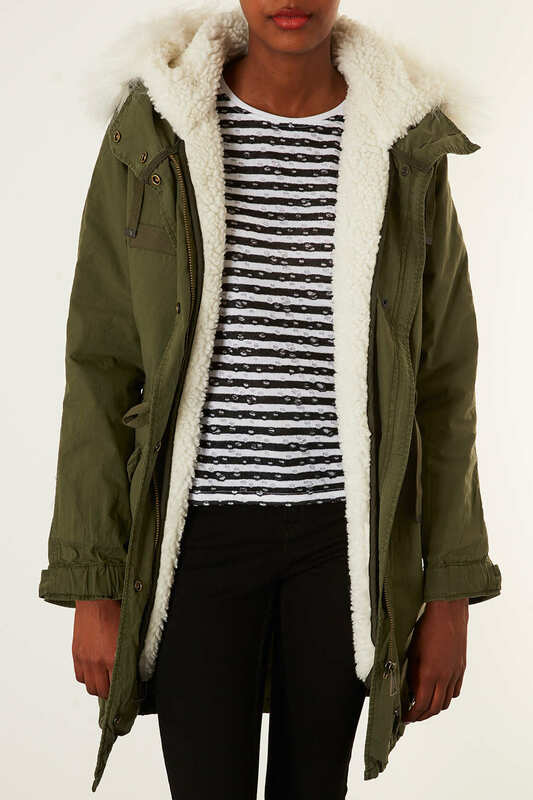 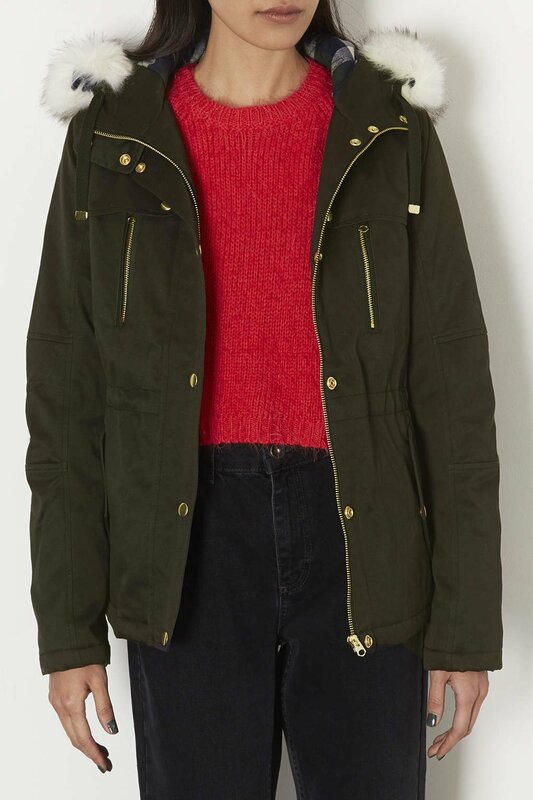 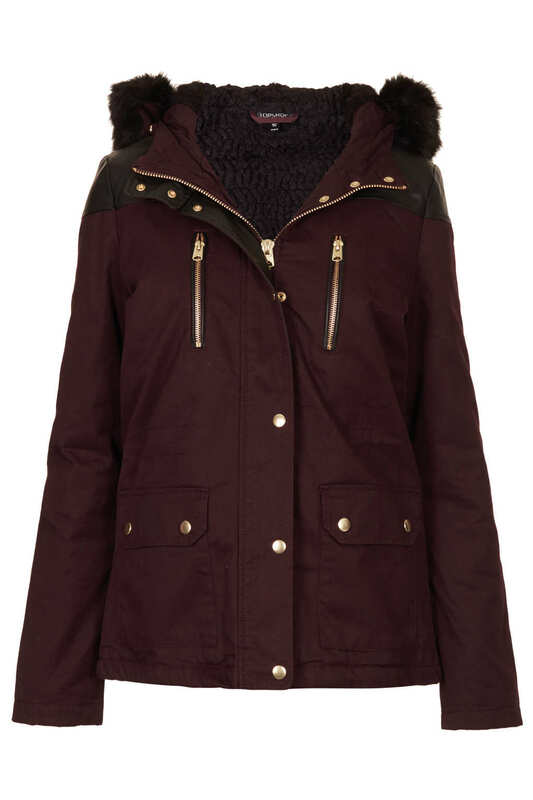 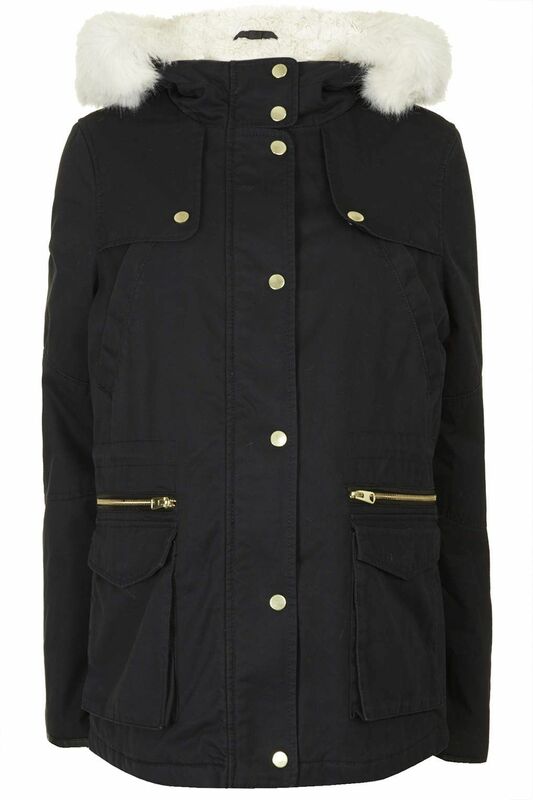 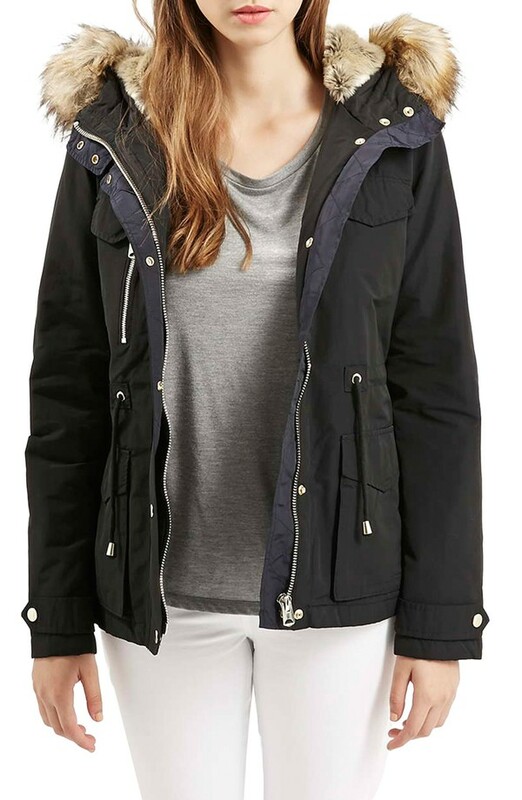 This jacket is also available in petite sizes HERE.